It’s difficult, if not folly, to try to describe growing up ‘French-Canadian’ in Michigan in an era when there was, in my experience, no discernible difference between people with French-Canadian heritage and their neighbors of Irish, German, Polish or any other European ancestry. But for my part, growing up in the 1970s and 80s there was a sense of difference, if only because I was so attuned to family history from an early age. I was a teenage genealogy geek and as a consequence, a long list of French surnames was constantly rattling around my head, and to find a classmate or neighbor with a francophone name, Brasseur, Shaloy (from Charlerois), or Martin, not to mention LaFave, LaLonde, and LaFreniere (I feel a little like Bilbo leaving the Shire – or should that be Bilbeau…) gave me an unspoken sense of kinship. Although my family had moved back and forth between Detroit and the Windsor area since the early 1700s, the most recent landing was an actual immigration: my grandfather’s parents arrived on the Detroit shore around 1900 from the farming communities of Tecumseh and Pointe Aux Roches on Lake St. Clair in Ontario. My grandfather was born in 1901, the 7th of 13 children, and the 2nd to be born in River Rouge, Detroit. I never knew Grandpa Sam, but I imagine his French was pretty good. His parents spoke French as a mother tongue. But by my father’s generation, there was little desire to pass on the language, despite my great-grandfather’s admonition to his son to speak it with his children. My dad knew a few words which I managed to pry out during my frequent interrogations of him, yearning to hear his memories of youth. He remembered Mim, his grandmother, who made him ask for his lunch in French as a little boy. I suspect he may have remembered more, but those few words he shared with me still evoke a treasured image of him at the table of his grandmother, all four-feet-ten of her. And thus, my sense of French-Canadian identity was born. I never called it “identity” as such. It was not inculcated. It rested in the memories of my family, and was animated in the dancing, dark-haired, suntanned, beer-drinking extended family who populated my childhood. They could be a bit wild. And it was a heritage I understood implicitly as I saw older generations in their pews at Sunday mass. It was a mystery, a photograph, a recipe. It was an often unspoken history that drove my search for connection. 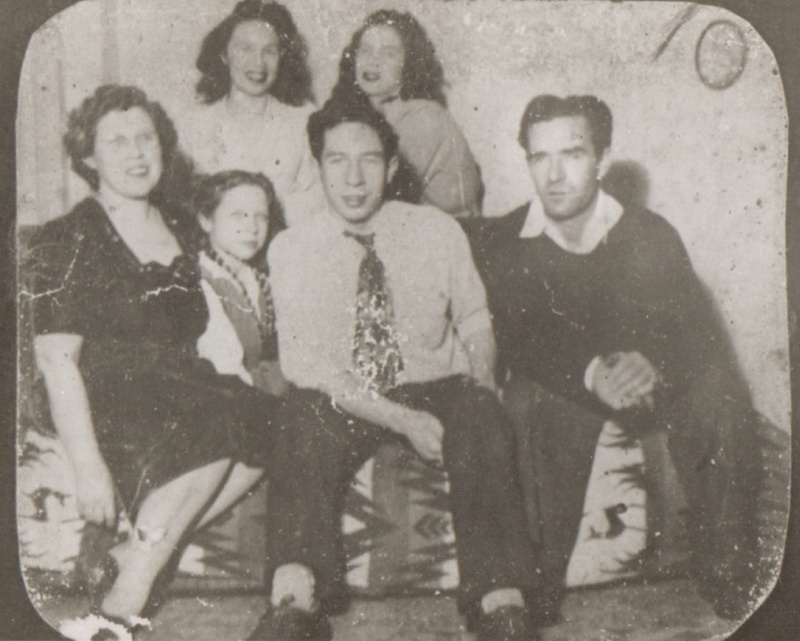 I had then no specific awareness that certain elements of our family life were rooted in French-Canadian heritage. My mother, a South Dakota farm girl, learned many recipes from my father’s family. She, like all the women in my father’s family, made meat pie. It was only later that I realized this ‘meat pie’ was also known as tourtière and is a recipe deeply rooted in French-Canadian culture – our very own pâté de campagne. It was eaten by our family during deer season and on New Year’s Day, although many have the tradition of eating it after midnight mass on Christmas eve. And it was only recently that I uncovered the origins of a sort of chicken soup/slider called glissons (glissants) – another recipe with roots in French-Canadian culture. It was our soul food, even if we didn’t know why. 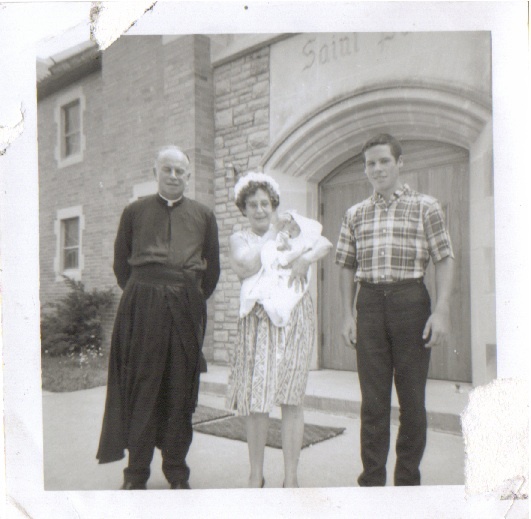 As for my grandmother Elizabeth, the only trip that I am aware that she made outside of America was on pilgrimage to St. Anne de Beaupre in Quebec. The liberal-leaning, big-tent Catholic church I remember was at the center of our lives. To attend mass in my hometown was to see my family. Everyone had a place where they sat week after week. It was a predictable scene that I can largely reconstruct with only a moment’s thought. Summer was an exciting time because it brought other relatives North on vacation and their appearance at Mass made the otherwise dull Sunday morning more of an occasion. There were parishes in Michigan with larger concentrations of French-Canadians that continued masses in French well into the 20th century. Living in a remote corner of northern Lower Michigan, we were far from the one-time French-Canadian centers of Saginaw or Copper Country. While we didn’t hear French, to attend mass on a weekday at St. Paul’s was more or less to have a private family mass. When I look at family photographs, I see the somewhat stern, almost ‘handsome’ features of my great-grandmother pass down through the generations. By all accounts, Vitaline, the diminutive woman who taught my father a few words of French, had a lot of sorrow in her life. It is difficult not to lament her circumstances. 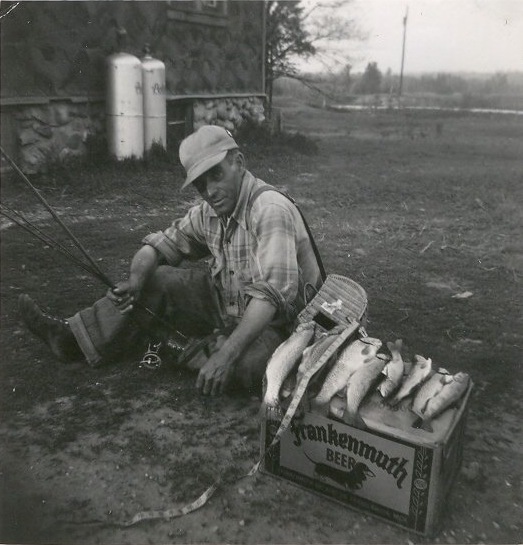 Vitaline Benoit LaForest circa 1920, near Onaway, Michigan. But it is also through Vitaline that I have often found my sense of direction in terms of discovering French-Canadian ancestry and appreciating my sense of French-Canadian identity. It was through Vitaline that I first discovered family history beyond a few generations. It was through Vitaline that family lore brought us back to the time before the French. Growing up, ‘French-Canadian’ was a phrase I learned to use as I traced my genealogy. But it was also something that felt deeply ingrained. I did not know as a teenager that my body ran with the blood of 15 generations (and more to believe the lore) who had lived along the rivers of New France. All I knew was that I was part of who came before, and they were part of me. Somehow I knew that my history stretched down the length of Lower Michigan to Detroit, across lakes and rivers, and up the St. Lawrence to Quebec where my grandmother once went to pray. It was these spiritual and mental maps, and the soul foods we ate to mark the seasons, that were among the surest signs of who we were. So true. But having grown up nearish to Saginaw, it really wasn’t a French Canadian mecca. It was culturally very German and rapidly becoming Mexican, by the time the 80’s came around. I suppose that’s true for most of Michigan. I’ve just been reading about the lumber industry around that area and how it was the locus of a good deal of F/C immigration in the late 19th/early 20th centuries. I grew up in a small town south(ish) of Saginaw, Chesaning. To me in the 80s it was diverse in cultures. No one thing was embraced, except that we were American’s. Thanks for this information James it was cool to get anothers perspective. 😉 keep blogging! Thanks Sherry Lyn! I appreciate you taking the time to read it! ‘ 60 , like a few million other Québec citizens . Today , the name ” french Canadian ” brings back memories of the past . That raises a great question – I have been asked if I am Québecois, but to me that always refers to people who currently live in Québec. Can those of us whose ancestors lived there (but not recently) be “Québecois”? I certainly feel a strong connection to Quebec. I guess your question has forced me to see that for many people Québecois has been cast as an ideology; while for those of us who are French Canadian, it is a national identity. The question is, can those of us in the “diaspora” call ourselves Québecois? People of French origin in New England call themself Franco Americans ( or Franco Américains ) In Louisianna they are Acadiens or Cajun ,in Saskatchewan they are Françasquois etc etc , we are all from french origin , but now living in different countries for different elections . James, your blog is fantastic! I’m learning more about the other “French” because down here in Louisiana many think we are the only “French” people in America. I have several ancestors from Quebec, Illinois, Missouri, Acadie and of course France. My Acadian ancestors are the only ones “celebrated” and that leaves many to believe we are ourselves Acadians: aka Cajuns. But Cajun is a complicated word and it really doesn’t mean Acadian people. That’s an entire story so I’ll leave it at that. I like how you described the French language in your family. It’s very similar to us. I have to say, however, that here there is a strong, noticeable difference between the “Franco” people and the “Anglo” people more to the north of us, even though people my age speak English too. My Hebert cousins that married into the Scot-Irish families even changed how they say their name; they are now “He-burts” instead of “A-bears.” Jeansonnes also became Johnsons in the north. James, when I say the north I mean a distance of about 8 miles. Like you, this stuff fascinates me. I did major in sociology but later changed to literature. Anyway, I believe I rambled enough. Look forward to reading more of your past posts and new ones. I liked the article, good job. Thank you, Brother Joe. It’s my story, and I’m sticking to it! This was nice to read. I’ve only very recently begun to chart my lineage and found a strong French-Canadian line from my father’s mother’s side. She was a Londo born in Tawas who came from a LaLonde line (her mother’s maiden name was Marguerite LaLonde). Well, my grandmother married a German from Ocqueoc. They moved to Detroit and had their only child, my father. Unfortunately my grandmother passed before i was born and my father has passed only 4yrs ago now and he never talked a lot of his family. I sure wish I had been more inquisitive at a much earlier age…. again, this was such a pleasant blog to read, thank you! Hi Lynn – Thanks for the note. Join us at Great Lakes French Canadians on Facebook (if you are on Facebook.) 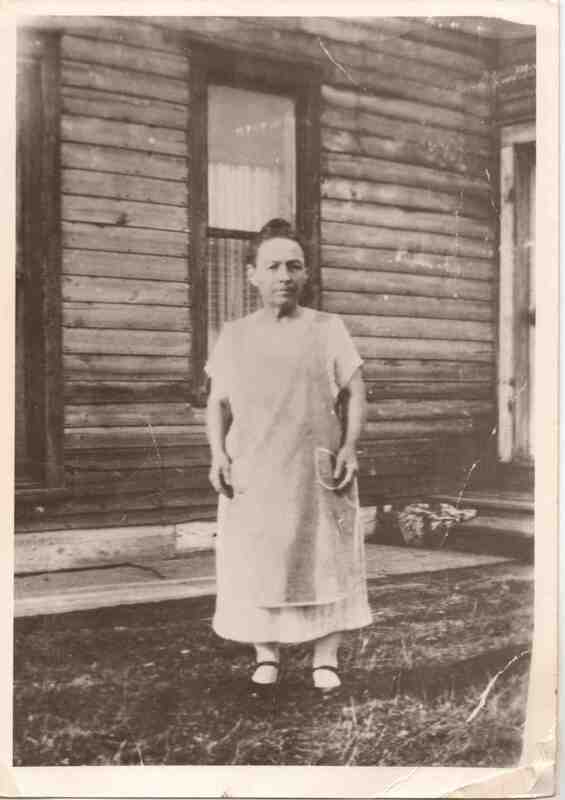 My great-grandmother was born in London, Ontario to a Detroit-born Peltier and a Quebec-born Monarque!. Very interesting, well done! My grandmother grew up on Mackinac Island (Hammond, Perrault and Cadreau are the names) and it is only from reading things like this that I have begun to appreciate how much of our family culture was FC in heritage. I also feel quite connected whenever we visit Quebec. Moi, j’adore. Thanks Mary – nice to hear it helps people connect/re-connect to their heritage and family life. Thanks for writing. My grandparents were from Tecumseh and Pointe aux Roches also, so our ancestors on both sides of our families probably knew one another. I was raised in Detroit, but had many relatives in the Windsor area. Both sets of grandparents were primarily French-speaking. Both of my grandfathers died in 1964; one is buried in Tecumseh, the other in Pointe aux Roches. Our family maintained some French-Canadian customs, although almost all of my 60 some first cousins are primarily English-speaking. Christmas was a day for immediate family. New Year’s day was a day for visiting extended family. We ate tourtiere, especially around these holidays. On New Year’s day, you asked for your father’s blessing and knelt in front of him as he gave it to you, making the sign of the cross over you as he did so. Hi Gerry – Thanks for writing. I’m always so glad to hear about how families into our day have kept and celebrated French-Canadian traditions. It’s only by sharing these stories with others that more people will continue to honor and enjoy our traditions. Thanks for writing!